If you have been following our blog for any amount of time you will know that we love Blue-Eyed Girl Lacquer. 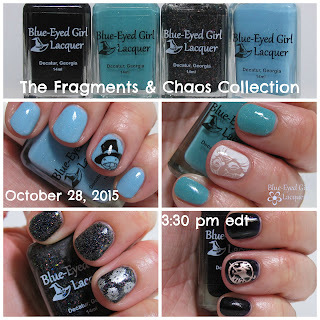 On October 28, 2015 3:30 pm EST, BEGL will be releasing a ton of new polishes, including a new collection, Siren and Destination Duo. 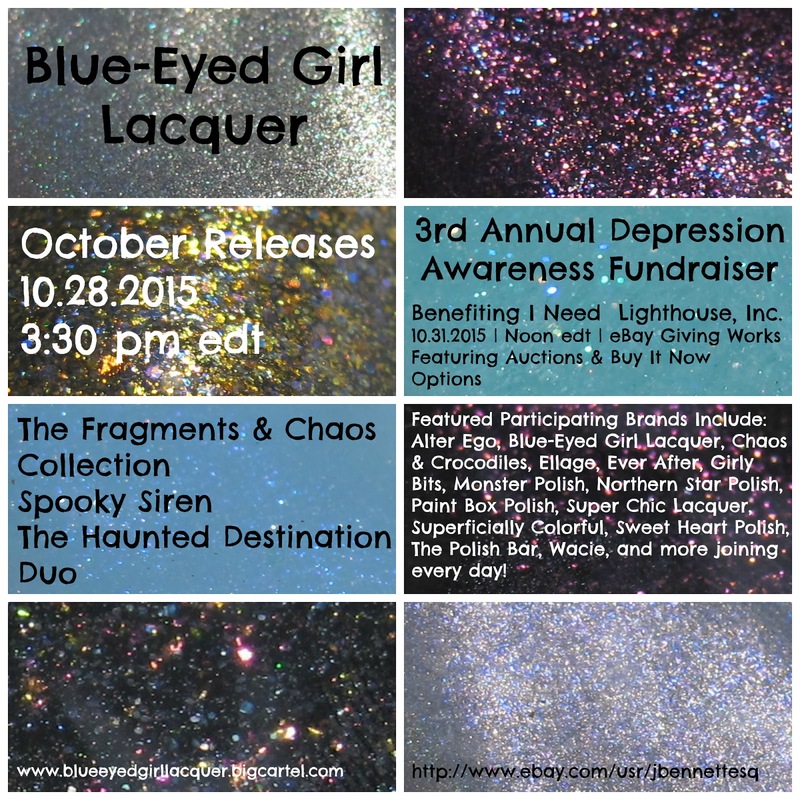 Julie has also announced details about the 3rd Annual Depression Awareness Auction which is the perfect opportunity to support an amazing cause and also score some sweet indie polishes. Win-win! 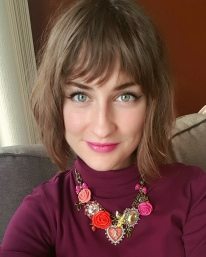 Link to the BEGL shop.